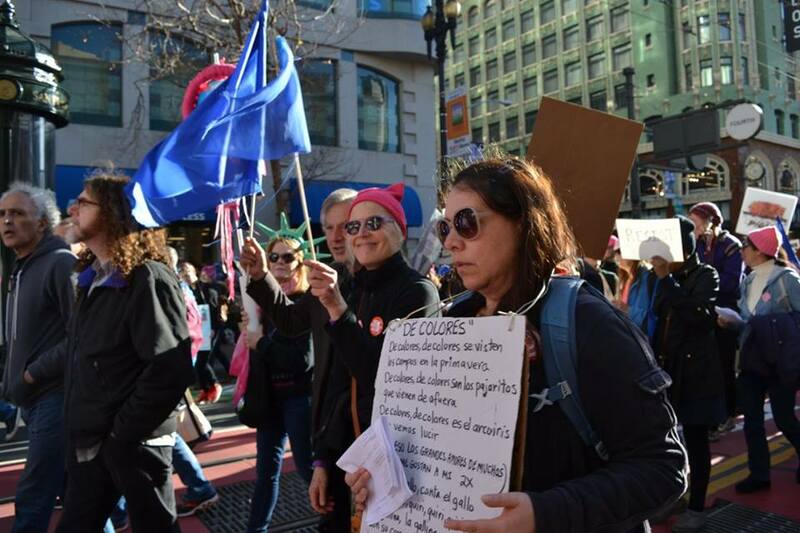 Please join us at the Women's March on Saturday, January 20 and sing with us as we march. 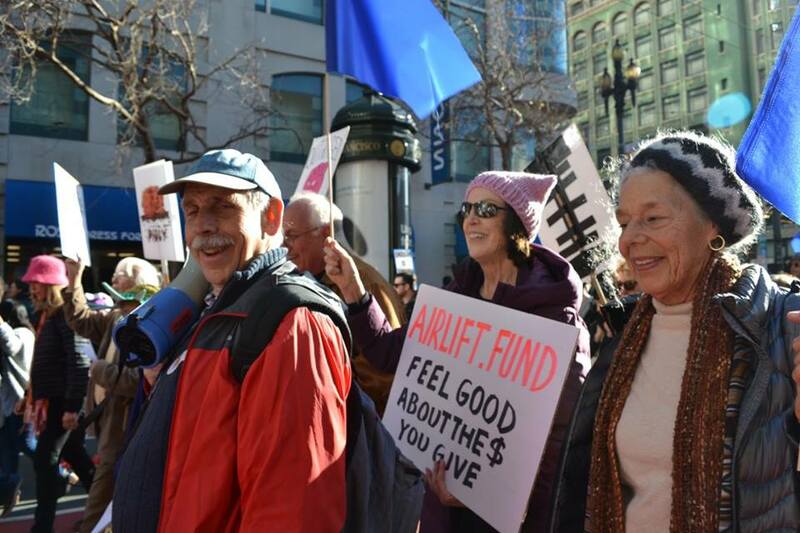 We will meet at 11:30am at the corner of McAllister and Larkin. 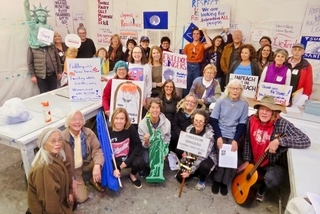 Their rally starts at noon and the March begins at 2:00pm. 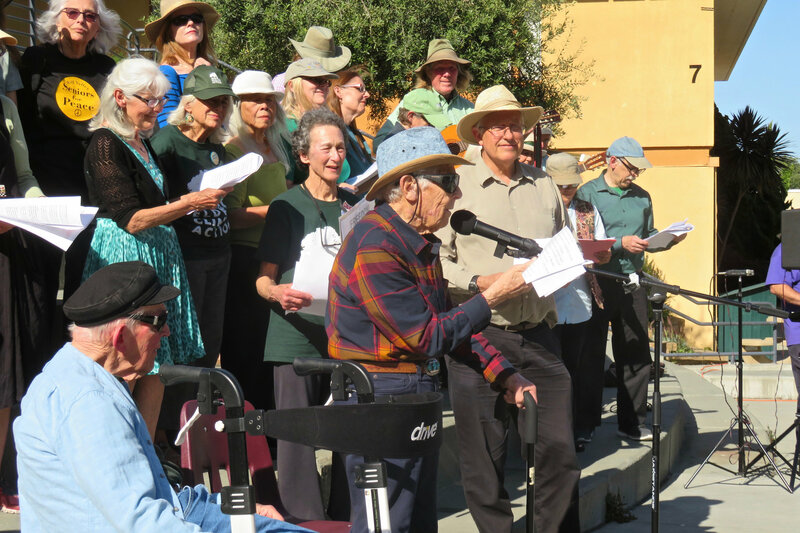 Reed Fromer, who helped found our Freedom Singers, led us in song at the Redwoods Retirement Community in July 2017. Reed, a nephew of Jon Fromer started singing with Jon at age 14. 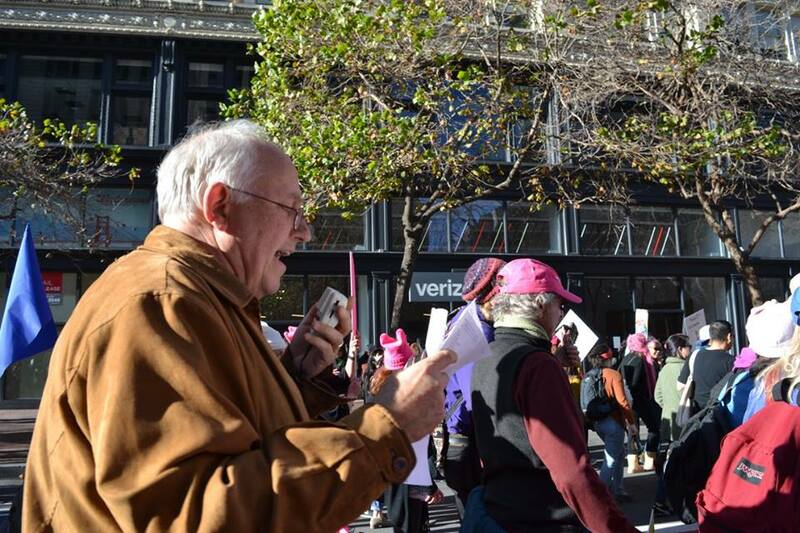 Our second presentation was at an Organizing for Action event November 2017. 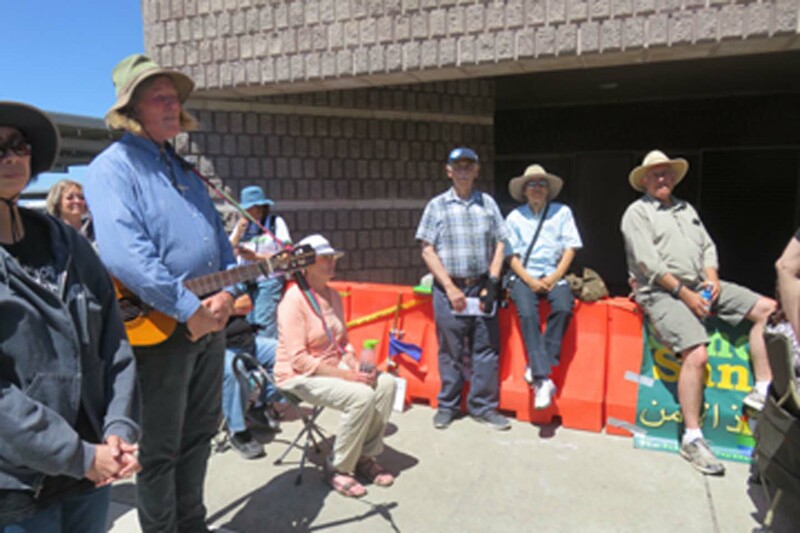 We were honored to have Representative Huffman join us in a few of our songs. 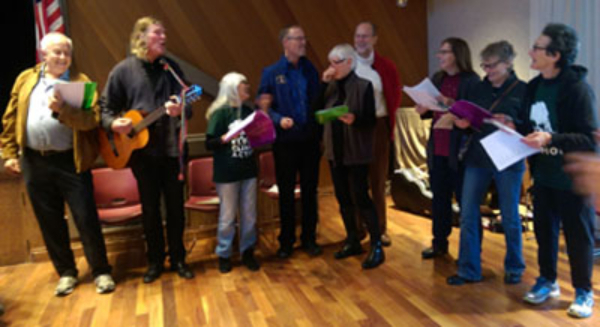 On February 24 we sang at a Friendship event with children in the Baha'i "virtues class". (Part of the Baha'i goal is to empower the children by helping them learn to plan so the children orchestrated the event. What fun! 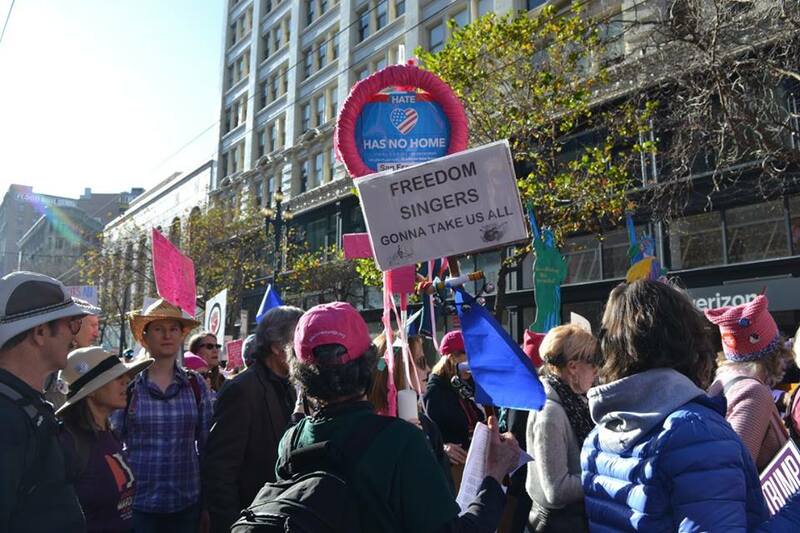 March 24: We sang at March for Our Lives rally in San Francisco to end gun violence. 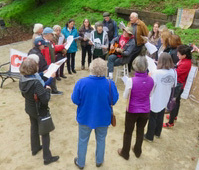 May 22: We sang at the Immigrant Solidarity March and Rally in San Rafael, part of Love Lives in Marin event series. 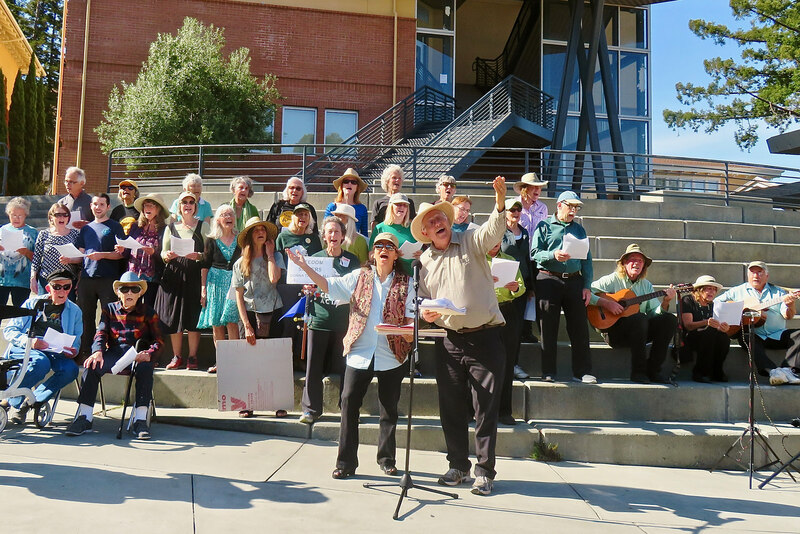 Wednesday, July 18: For about an hour we led the participants in song at a Confront Corruption rally in San Rafael. 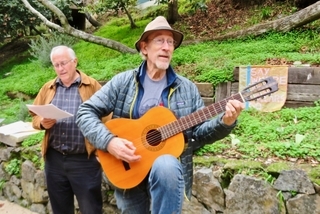 Sunday, August 5 from noon - 2pm we sang at a Building Bridges potluck picnic in San Rafael. 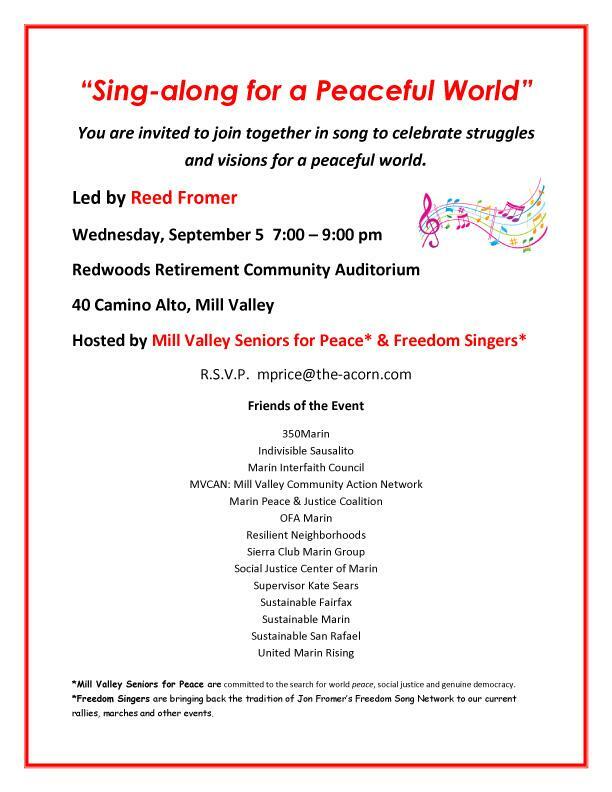 Wednesday, September 5 from 7 - 9pm at the Redwoods Retirement Community in Mill Valley hosted by the Mill Valley Seniors for Peace and our Freedom Singers. 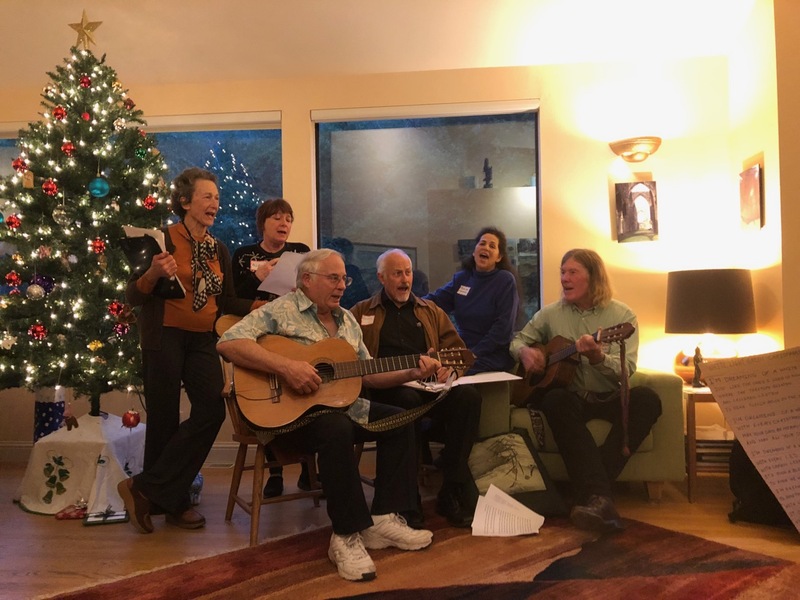 Reed Fromer led all guest in song. 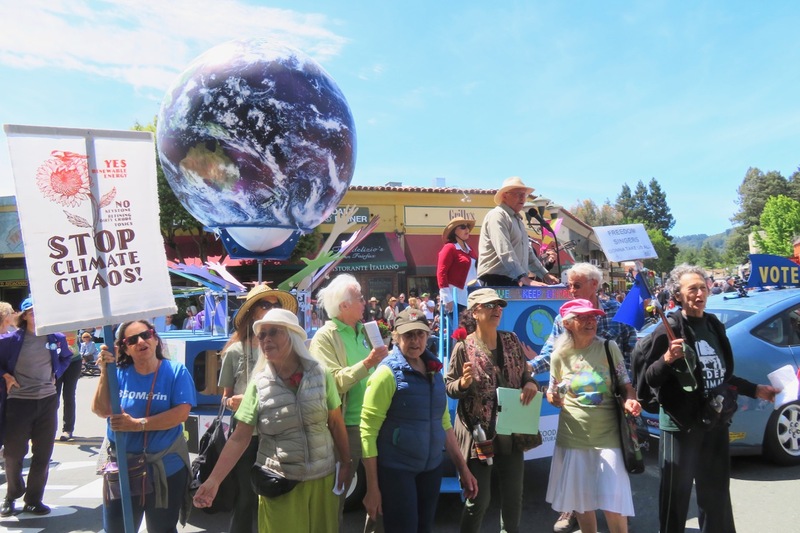 Rise for Climate, Jobs & Justice March on Saturday September 8 in San Francisco. Saturday, September 15: Getting to Paris Without Stopping in Washington. 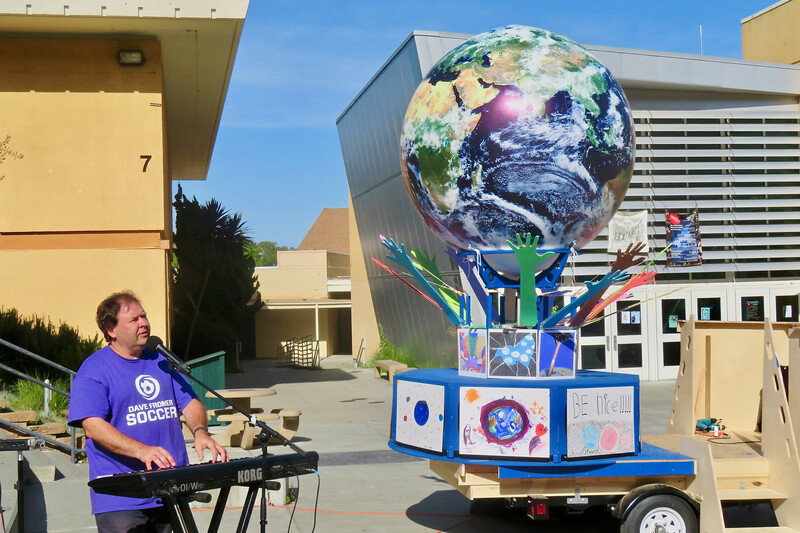 We joined Reed Fromer to lead all in song. 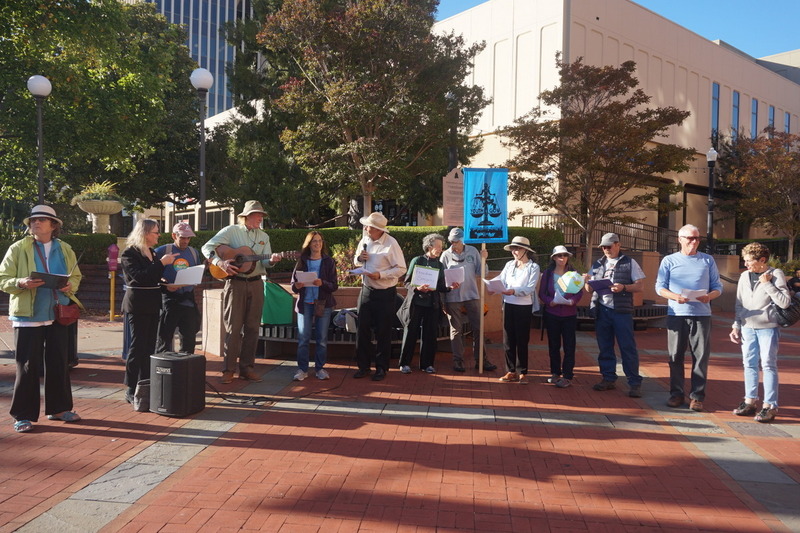 Speakers were architect of the United Nations Paris Climate Agreement Christiana Figueres , California EPA Secretary Matt Rodriquez, Berkeley Professor Daniel Kammen, Congressman Jared Huffman and other climate leaders. 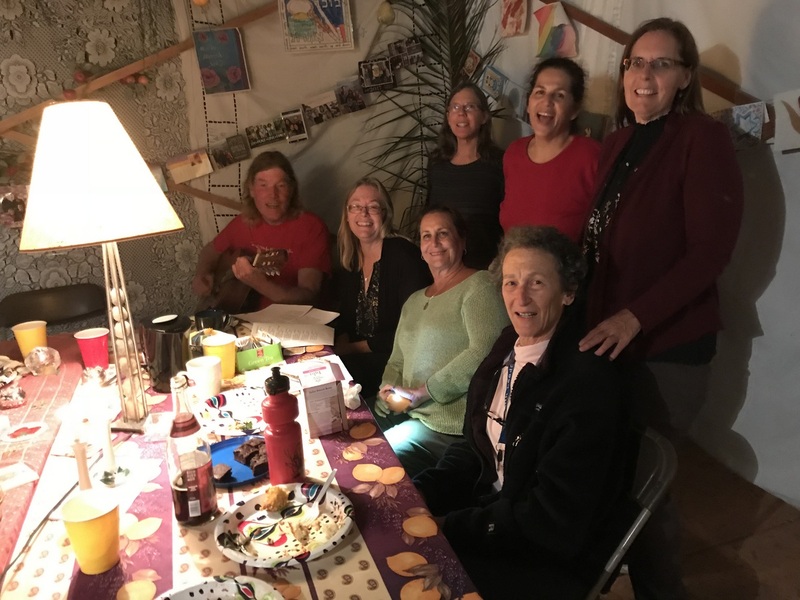 Tuesday, September 15: Freedom Singers Sukkot dinner hosted by Laura and Angela Giacomini. 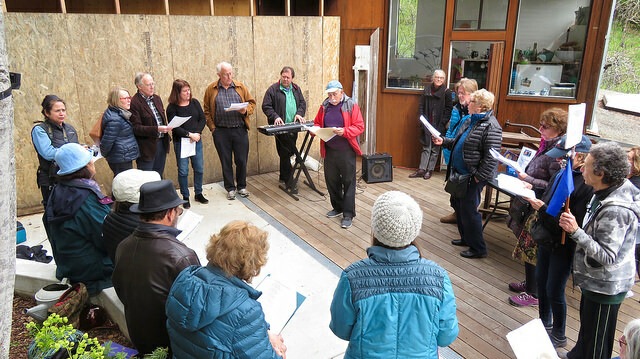 We celebrated Sukkot with a traditional Sukkot ceremony and ate and sang outdoors under a hand built Sukkah . 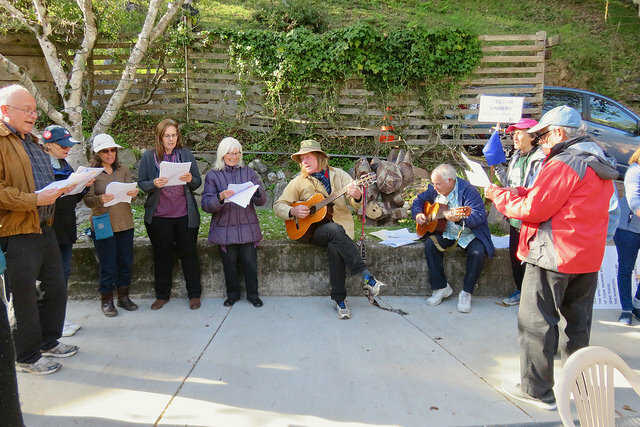 Friday November 2: Sing with Seniors for Peace 4 – 5pm corner of Miller and Camino Alto, Mill Valley. 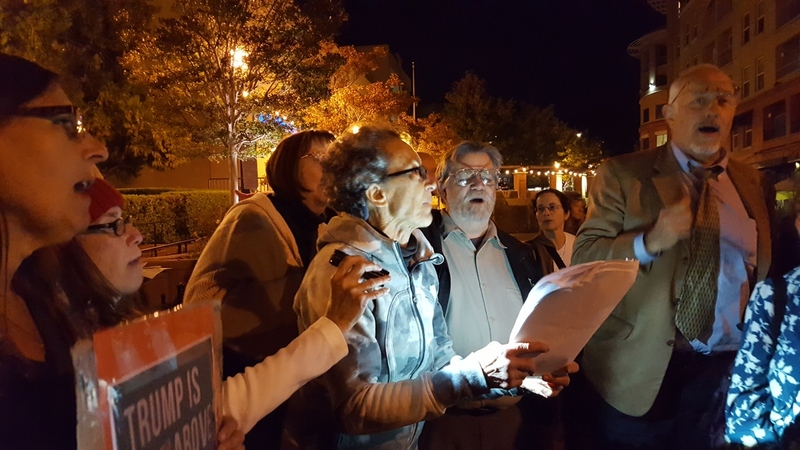 To"Get Out the Vote"
Wednesday November 7: Special night with the Fromers to learn about Jon Fromer and the Freedom Song Network and watch videos of Jon, Dave and Reed performing. 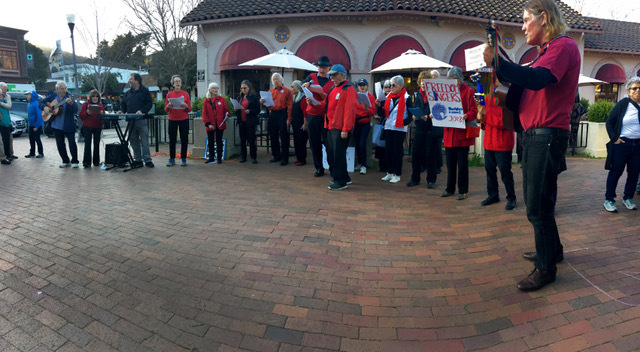 Thursday, November 8: Sang at rally in San Rafael to protect Mueller investigation after Jeff Sessions was fired. 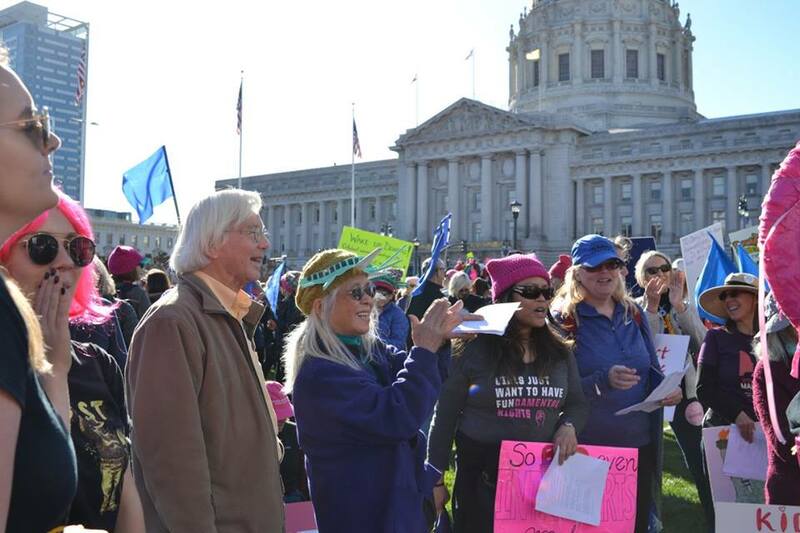 Immigration Rally Thursday, December 6 . 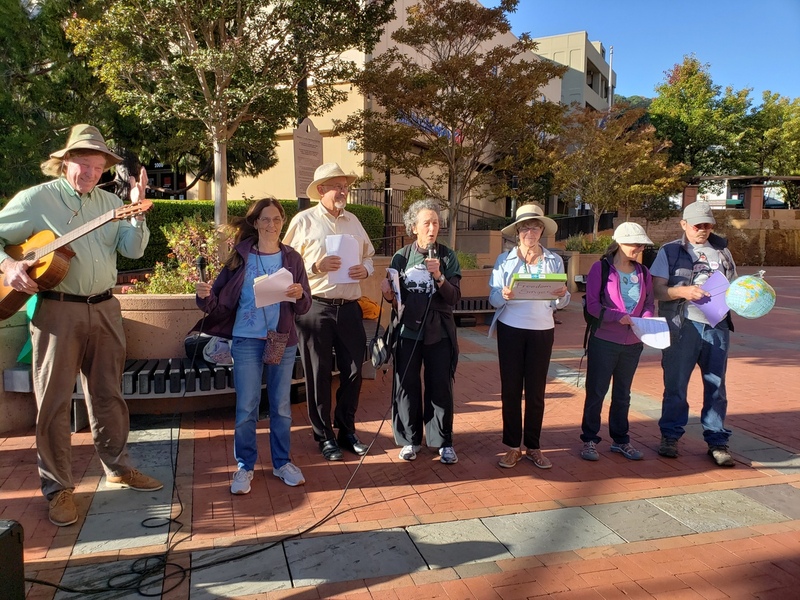 The rally was followed by a Board of Supervisors Community Forumto provide the public with information as to how local law enforcement agencies entangle themselves with federal immigration authorities. 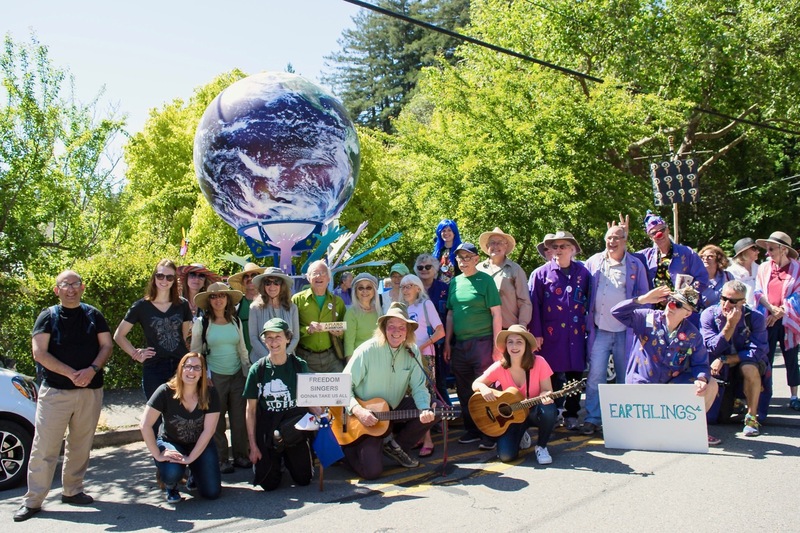 Sunday, December 9, Resilient Neighborhoods and Sustainable San Rafael holiday party. 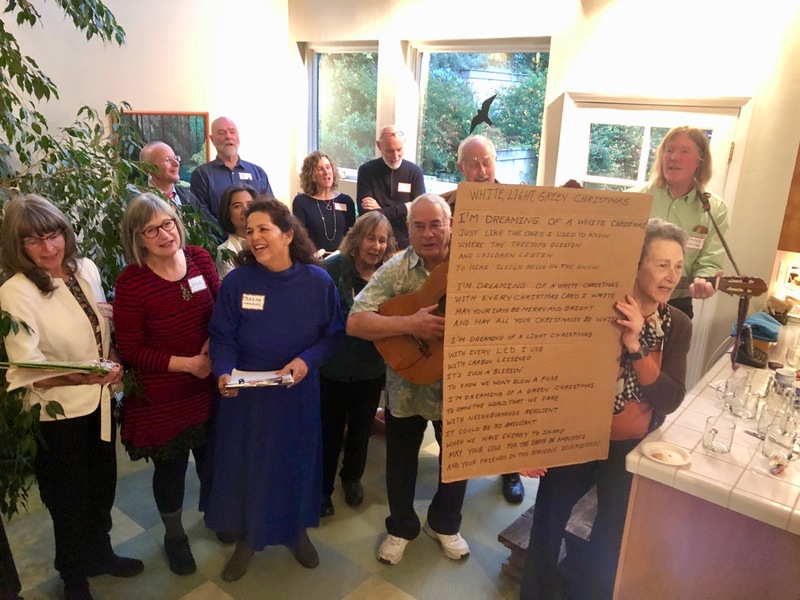 Freedom Singers who have participated in Resilient Neighborhoods classes or are a member of Sustainable San Rafael joined us to lead attendees in song. 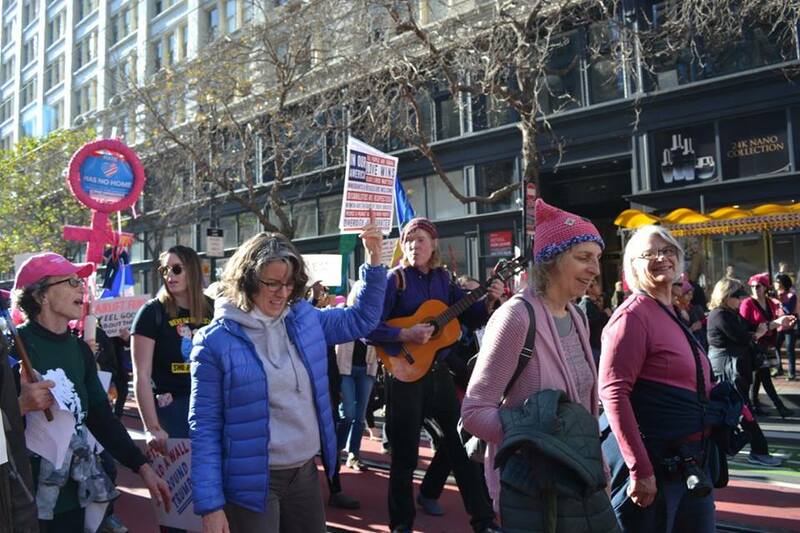 Saturday January 19 we sang at the Women's March in San Francisco. 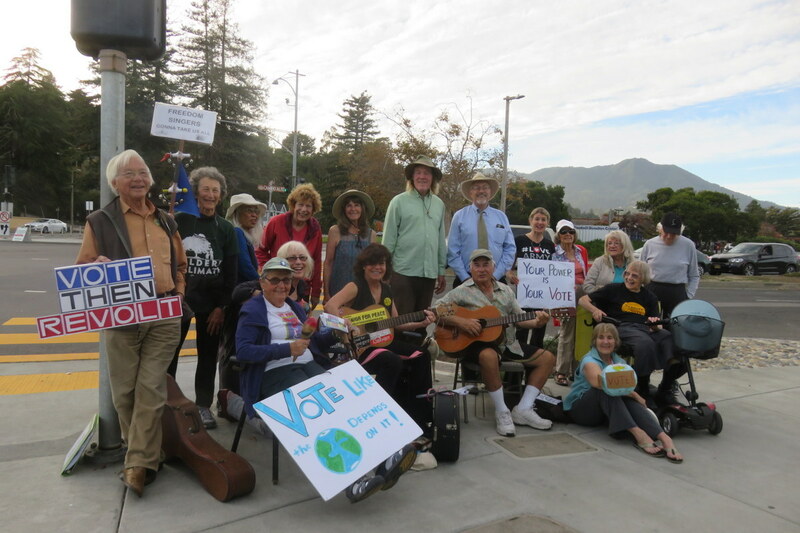 Tuesday, February 12 we joined people petitioning to change the name of the Dixie School District at the Dixie School Board meeting. 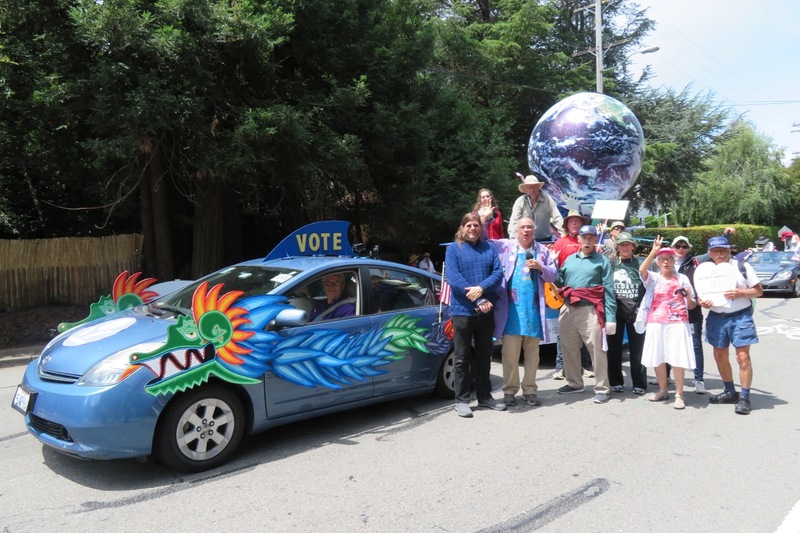 Friday, March 8, 4-5pm The Freedom Singers sanf with Seniors for Peace at the Redwoods Retirement Community in Mill Valley. 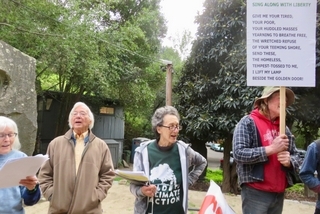 Wednesday April 10 4:30 - 6:00pm Defund Disaster/Shut Down Chase, JPMorgan Chase Bank, San Anselmo. 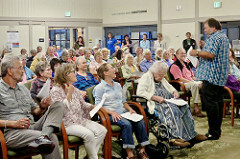 Friday, April 12 from 4-5pm Sing with the Seniors for Peace at the Redwoods Retirement Community in Mill Valley. 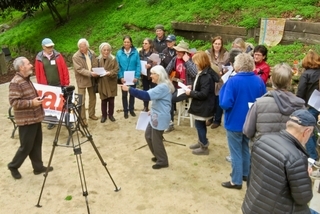 We hold monthly meetings in Marin County, California to learn, share and practice songs. 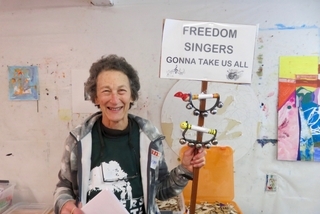 We welcome anyone who wants to simply sing, can play a musical instrument or help with coordination. Please contact us to be added to our list of members. 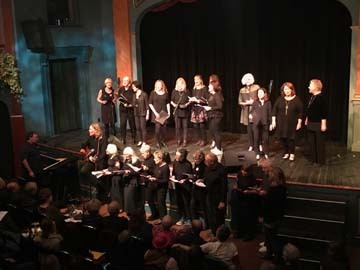 We are an all volunteer group and do not charge to appear at your events to lead your group in song. Please contact us for more information. 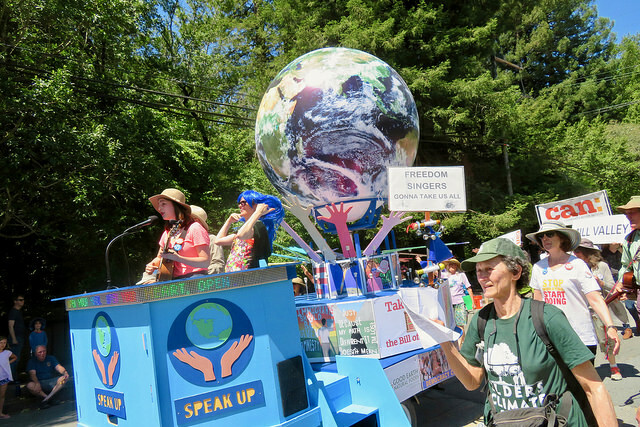 Below you can view the flier for our 9/5/18 "Sing-along for a Peaceful World" at the Redwoods Retirement Community (check out the list of 14 environmental and social justice groups that signed on as "Friends" of the event).